These samples will be the easiest to edit for you. Download the one you like first--clicking open with Internet Explorer--save in or on Desktop. It is very convenient to locate later placing it there. You must like this page so add us to your list of favorites. 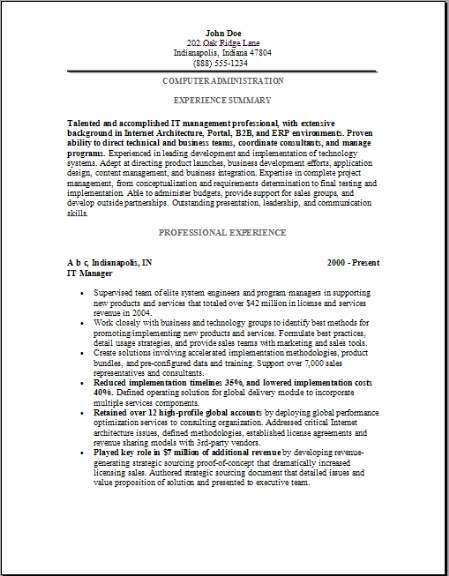 Examples of 3 computer administration resume formats I suggest using when starting to complete your resume or at least I think so. I really like these myself. They do look professional, super clean and sleek. You do want to have the experience section to have that dominant pop effect, that way hiring managers will not have to look too hard. When you first take a look at it, everything is right there for easy reading and concise information. 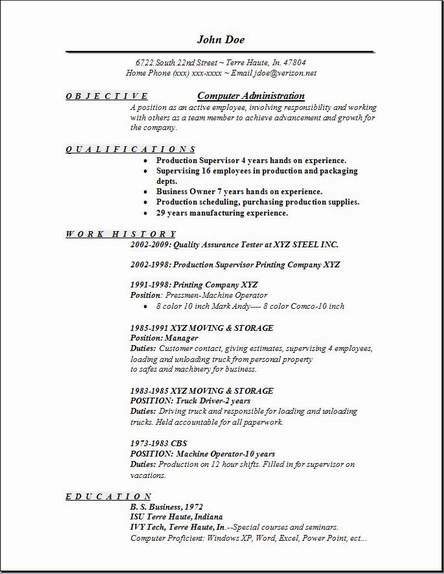 Once you begin to edit this example resume with some of your personal information, you will produce a great resume. That is also the very reason you are here at this website after all. 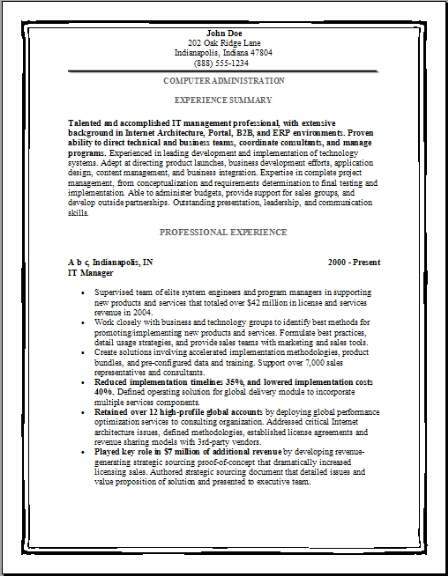 I do believe you should accept these free IT Manager resumes and use them to get the job you are applying for. Please shout at your friends by letting them know where they can find this website. Visit some more of our pages to check the example formats and compare them or mix them up so you can use them. The computer administration resume example above has 3 separate options you should choose from, so just get all of them by downloading the set of 3 of the most useful resume formats while you are here. Most people will often prefer the Chronological resume, I am also one of those people myself. Download all of these 3 free templates, then start today and edit it with your own information and let me know how it turned out. Hearing all of your personal comments on how it has helped you, would be nice. Systems administrators take on all the responsibilities for maintaining their companies network operating condition. They ensure that the configuration of an organization’s computer system will permit all the various components, including all the companies computers, the entire network, and especially software, to work effectively together. Continuously, they monitor and make adjustments to increase performance on their existing networks while continually taking surveys from the computer operators to determine future network needs. Also any problems that are reported by the users are addressed by the Computer administrators and by all of their automated and updated network monitoring devices. They will then make professional recommendations for any future upgrades to their systems. Help out your friends! Share!